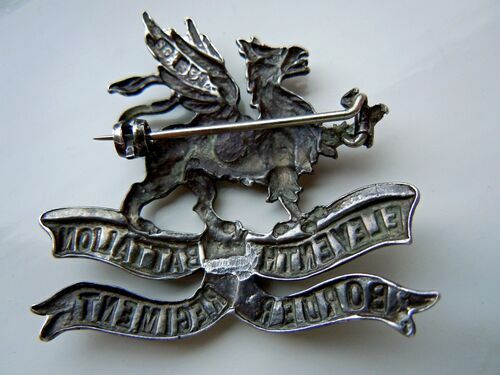 Military insignia such as detachable badges, either metal or cloth, are instrumental to a soldier's uniform. 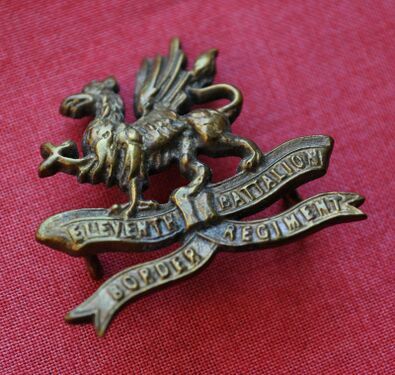 Badges can be worn on the cuff, arm, collar, shoulder and, of course, caps. 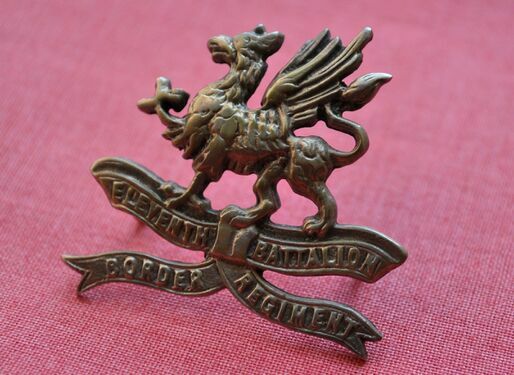 They identify the particular regiment, specialist trade or qualification of the wearer. 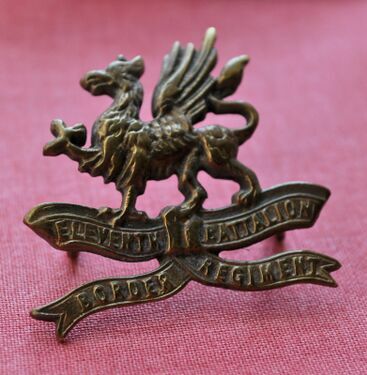 Additionally, they also identify the wearer's rank, long service and gallantry awards. 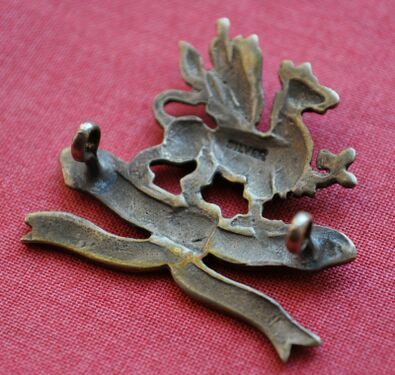 They can be sewn on or metal variety badges are usually are attached using a metal pin connected to lugs. 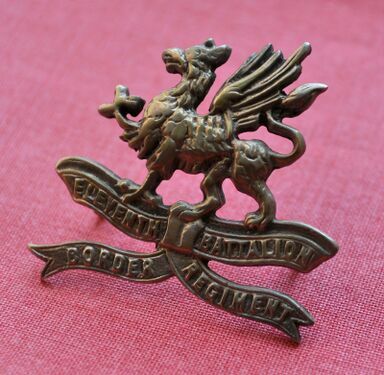 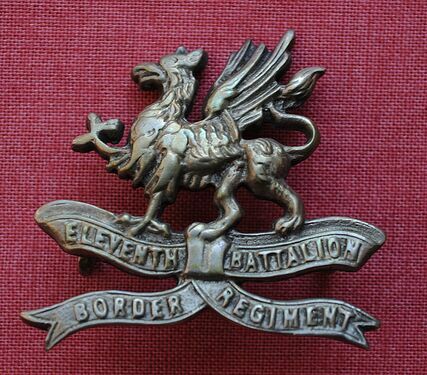 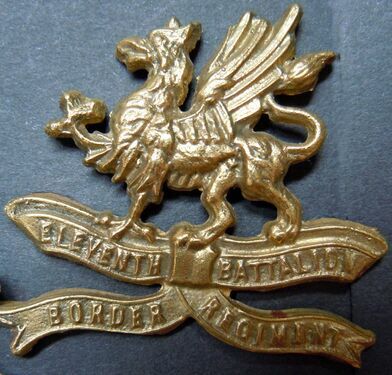 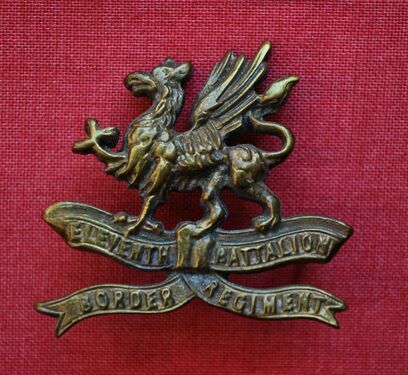 Not only can a badge be worn to identify the wearer's regiment, but also the larger formation to which the regiment belongs: Brigades, Divisions or Armies. 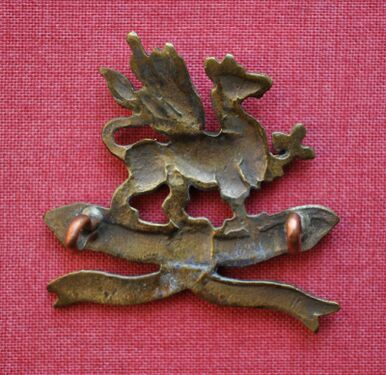 Military insignia, including badges, change over time and, therefore, become defunct but can be useful when identifying portrait photographs and hold particular value and interest to collectors. 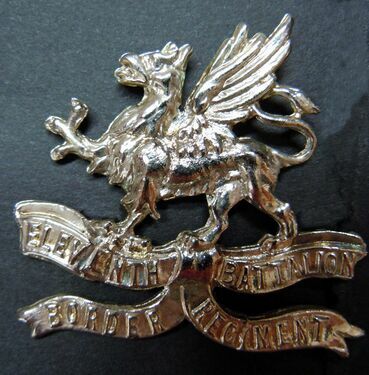 In this collection of Lonsdale Battalion cap badges you will notice there are several different types all based on the one design. 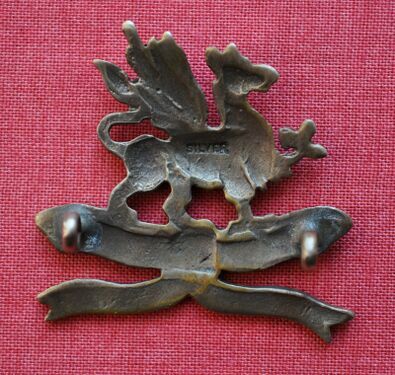 The original silver cap badge was cast with greater quality and much finer detail. 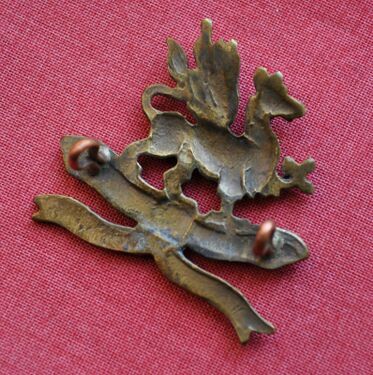 The replicas in both silver and brass do not maintain the same level of detail and the white metal copies are the lowest quality replicas available. 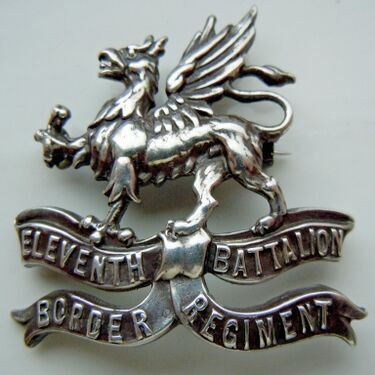 This page was last edited on 13 June 2017, at 18:31.